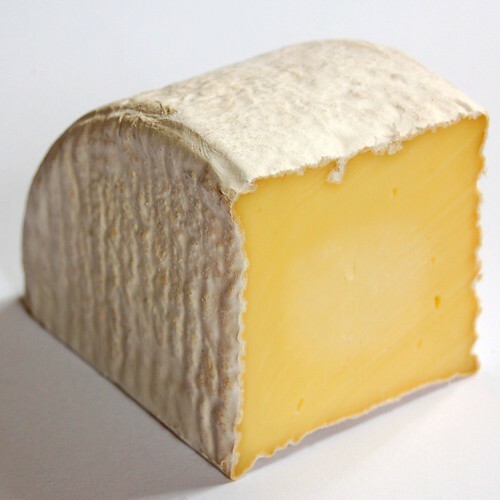 This is another cheese from Red Hill Cheese - you can find out more about the dairy in my earlier post. 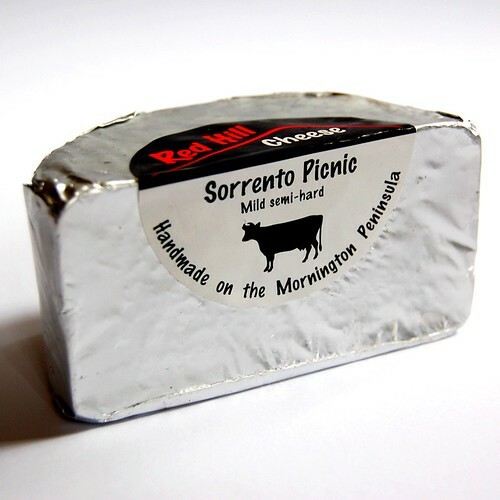 This is the Sorrento Picnic - a cow's milk cheese made in the cheddar style. 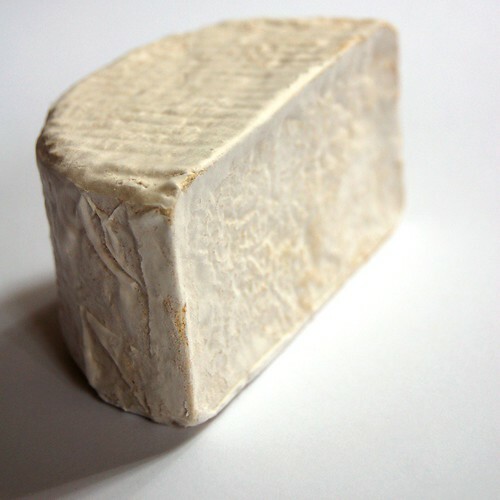 It's sold as a distinctive mini-truckle, in both whole rounds and halves. It's quite a thin rind - and depending on maturation state, it can go from a lovely white to a beige tinged rind as this one. The more mature the cheese the darker the rind. Inside you'll find this beautiful golden cheese - it's semi-hard, quite easy to cut with a smooth texture, it certainly doesn't crumble when you slice it. You might be able to make out the lighter coloured core - it's still a month away from full maturation. It has a fresh, sweet aroma, more asparagus rather than mushroom notes - smooth and creamy in the mouth with a mild taste that lingers. It does have a slightly acidic finish which adds to it's clean flavour. This would be really nice served with fresh dates.